If you are unfamiliar with Makeup Revolution, they have been featured on my blog a fair few times (see here for the archive of posts) and came on to the scene a few years back in a total blaze. Started in the UK, the brand now has an extensive range of very affordable makeup and built their success on 'duping' a lot of higher end brand such as Urban Decay, Too Faced, Kat Von D just to name a few. Whilst some of this I don't really agree on, I think it is a great thing that they offer similar products at a fraction of the price and at least these are produced in a safe environment with quality ingredients unlike those total cheap knock-offs you get on eBay (it's all fake and don't fall for it). This palette, however, is part of a large section of their range that is unique to them. Now Makeup Revolution sits under the large TAM Beauty umbrella that includes Revolution, I Heart Makeup, Freedom London, Makeup Obsession and more. So enough jibber jabber about the brand, let's talk about this palette. The packaging is nothing flash or fancy, it's housed in a solid black plastic palette, with a large mirror included which I know a lot of people will be happy about. Inside are the eight pans of varying blushes, highlighters, and bronzers. Bar the two bronzers at the end of the palette, the rest are super shimmering. Some of them I think are really beautiful but others I find a little chunky if you go in too heavy-handed. I find that a setting mist or spray helps to keep the fallout at bay and really amplifies the glow from these. As you can see they are very pigmented, which is great for a palette this affordable with 8 different shades inside. I think this also works well on the eyes and is very versatile. Most of the shades are more suited for a medium complexion, so it's a perfect one for a holiday, or it might suit you perfectly for everyday use. 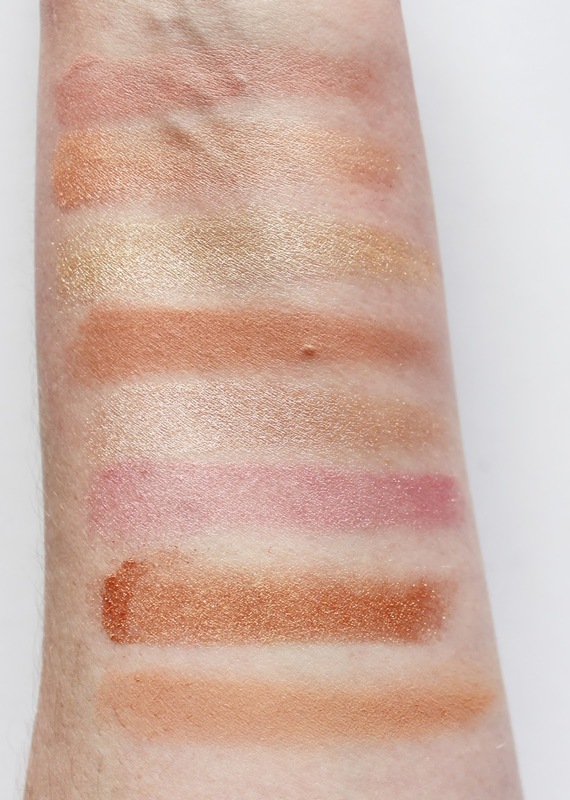 Beauty Bliss here in NZ stocks a range of Makeup Revolution (who kindly sent me this palette a little while back), but they haven't got it in stock at the moment. You can buy it from the Makeup Revolution website as they ship worldwide and it's only NZD $11.09. The shipping details for various countries can be found here, but for NZD it's a steep £20 or it's free on orders over £70. You could use a forwarding service like Youshop which is likely going to work out a little bit cheaper, or go in with some friends and make an order. 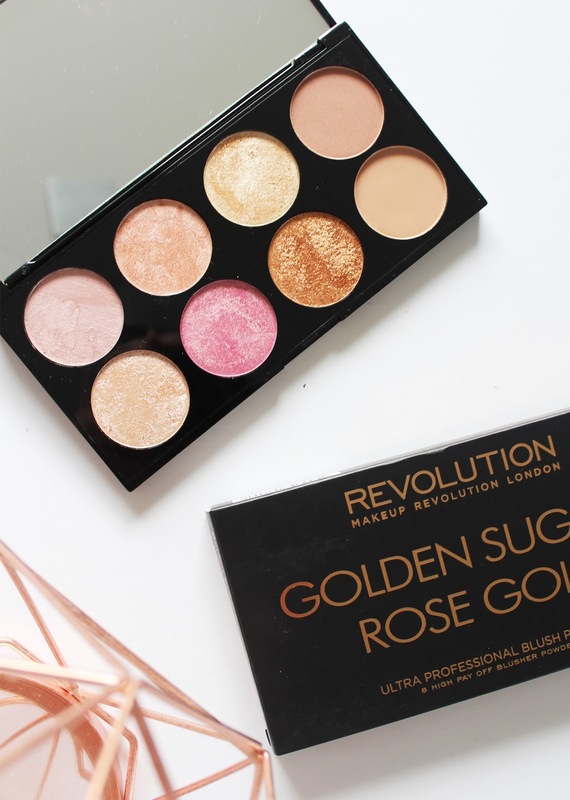 What do you think of the Golden Sugar Palette and of Makeup Revolution in general?